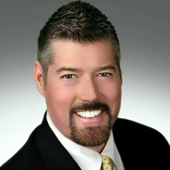 As a REALTOR® with over twenty years of experience with BHGRE Metro Brokers, I offer my clients the most comprehensive services (real estate, mortgage, insurance and closing services) while using state of the art marketing and technology strategies. As your agent, I will put my knowledge, skills, and local expertise to work for you to help you find the perfect community and neighborhood to call home, or help you sell your current home. I am dedicated to helping you every step of the way. Thinking of selling? Metro Atlanta home values are up! Start by clicking below to find your home's estimated market value. This is an estimate only and is based on readily available public information, and not based on all physical characteristics of your home. Then, contact me for a free, more precise and fine-tuned Comparable Market Analysis (CMA) tailor-made for your home, using the most recent area and neighborhood comparable properties. Click To Discover Your Home's Current Market Value! Before starting your home search, it’s important to know exactly how much you will be pre-qualified to spend. This will help you narrow down which house you want, and give you peace of mind when it comes to making an offer. 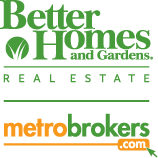 Visit Metro Brokers Financial's website, Atlanta Mortgage, for information.